350 Action Sports professionals are expected at the Belambra Club Les Estagnots in Seignosse, France on October 01. & 02.2018, for the 17th edition of the Surf Summit conference. Launched in 2002 by EuroSIMA, the annual surf business conference aims to inspire entrepreneurs and to spark innovative perspectives in the Actioon Sports industry. Nine speakers have been invited to share their knowledge and inspirational experience with managers, employees and future recruits of the industry. 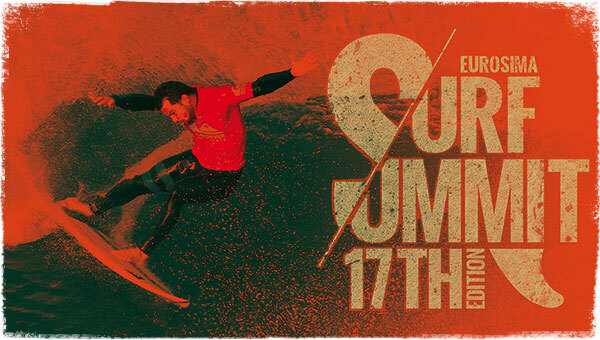 This 17th edition will guarantee high-packed energy mornings on both days, with two internationally famous athletes to launch each Surf Summit morning with inspiring presentations. On day one, Hawaiian prodigy, big wave surfer and famous waterman Kai Lenny, will share his thoughts on aquatic sports and what drives him to constantly test limits in the water by developing new ways of riding. The second day of conferences will begin with the world Champion snowboarder from France, Mathieu Crépel. As a versa le rider with a passion for both the ocean and the mountains, he will tell us his story and talk about his constant search for new challenges. He will discuss various themes to illustrate how permanent questioning of oneself is a vital element to endure and regenerate. Boardsports culture, the guiding theme for the conference this year, will be the main element of the second presenta on of day one. Gibus de Soultrait, Director of Publication at Surfer’s Journal France and Director of the editing company Vent de Terre will tell us about the origins of surfing to highlight how the concept of resistance in is a quintessential part of surfing culture. The rst a ernoon will focus on distribution in sports. Frédéric Tain, journalist and Editor-in-Chief of sport-guide.com will o er an analysis of the increasingly strong posi on of online sales. He will also demonstrate that this does not, however, necessarily translate into the end of mul -brand stores. Following this presentation, the audience will enjoy a conversation with Thomas Rouault, cofounder and CEO of the online store Snowleader, which has experienced annual growth rates between 20% to 40% for the past 10 years. This first day will also provide the perfect opportunity for the winners of the 2018 Sponsorship program and the Action Outdoor Sports Innovative Call for Projects to pitch their projects to representatives of our industry. On day two, hypnotherapist and showman Claude de Piante, will demonstrate the positive effects of autohypnosis on developing one’s potential (concentration, memory, stress management…) and provide us with tools to understand and experiment with the practice. Following Claude, two marketing experts Arnaud Dutilh and Camilla Guimard will reveal the ingredients for iconicity. They will tackle key pressing issues linked to innovation, brand stretching strategies and how to maintain credibility and pertinence from one genera on to the next. Finally, Julien Vivier, Director of studies at Nielsen Sports will close the Surf Summit with a presentation on preliminary findings regarding European consumer profiles in the Action Sports industry. With a mix of economic and market data from the Action Sports industry, a dose of boardsports culture, inspiring presentations, some personal development and success stories, the two days of conferences will also include several opportunities for laid-back breaks (meals, sunset happy hour, athletic sessions…) that are sure to encourage discussion and networking.